Enjoy proximity to the picturesque Tamarin River with a stay at Tamarin Bay House. A cozy retreat for families as well as groups of friends or colleagues, this villa features a distinctive rustic-style Mauritian architecture. Indeed, the whole place radiates with warmth and coziness, making it the perfect home base for travelers looking for accommodation in Mauritius. 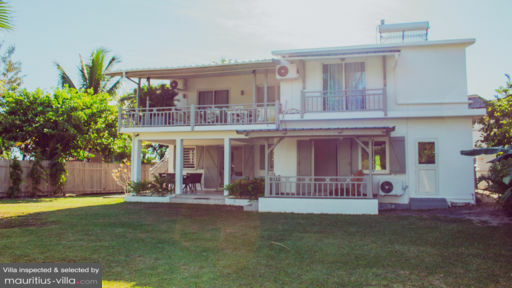 Designed to accommodate up to nine guests, Tamarin Bay House comes with five bedrooms. Three of the bedrooms feature Queen-sized beds. The fourth room comes with two single beds, while the last guest room provides one single bed. Sleep comfortably in summer thanks to the air-conditioning units designed to keep you cool during those warmer tropical months. While Tamarin Bay House does not have a pool, you will be close to the glistening bay of Tamarin, known for its excellent surfing conditions. Best of all, this villa has a sprawling green lawn, well-manicured and designed in such a way so as to bathe the grounds in plenty of sun. Therefore, at the end of a fun-filled day, sunbathe in the garden with your favorite book and a drink of your choice. This villa also provides a terrace with veranda and an outdoor seating area where you can dine, Al-Frecso style with your friends and family. Grill up a storm on the patio and share your meals as you enjoy stunning views. 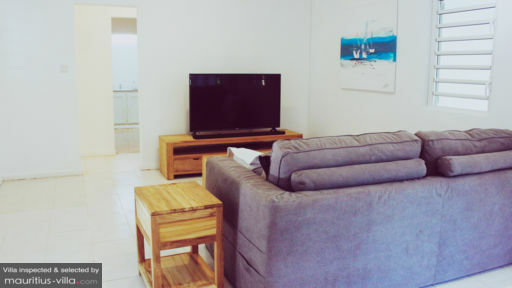 The living room of Tamarain Bay is enhanced by a comfortable couch upon which you can lounge as you keep up with your favorite shows or movies on the flat-screen television. With ample space to relax or entertain, the living area gives way into an equally well-appointed dining room where you can gather over a meal as the evening comes to a close. Don’t hesitate about having to adjust your tastebuds to an unfamiliar cuisine thanks to the perfectly-equipped kitchen of Tamarin Bay House. Indeed, this space comes with an assortment of utensils, kettle, stovetop oven, microwave and other appliances that you can use to whip up an easy meal. 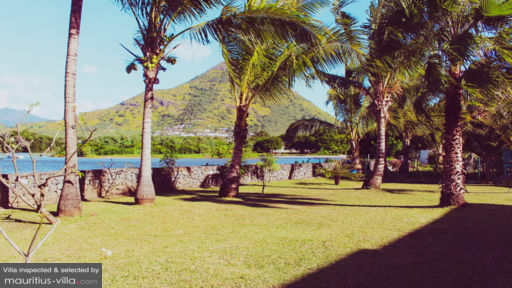 With 24-hour security, Tamarin Bay House offers complimentary housekeeping services to ensure that you can relax and focus entirely on your holiday in Mauritius instead of having to muck about with tedious house-chores. This villa also offers WiFi facilities throughout the house. At an extra cost, you can also rent bicycles to explore the very best that Mauritius has to offer. Airport transfer can also be arranged with the establishment. Tamarin is the perfect base to explore the crystalline lagoons on a catamaran ride. Most catamaran trips depart early in the morning, providing you with the opportunity of spotting playful shoals of dolphins. Not far from the villa is also found the unique Tour Martello Fort, a landmark that dates all the way back to colonial times. Nowadays, the fort is a museum that houses relics and other artefacts related to the time when the island was under French rule. If you’re an avid surfer, be sure to challenge the impressive waves at Tamarin Bay, the most popular surfing spot in Mauritius. The nearby public beach offers calmer waters, perfect for when you want to swim, snorkel or simply work on your tan from the beach.